Control and regulation of second- and third-tier credit operators (i.e. non-bank lenders). Recent law changes have strengthened credit law but essential protections such as a cap on maximum interest rates were not included. A recent Child Poverty Action Group background paper gives an overview of New Zealand’s debt society and its impact on child poverty. A Review of the Operation of the Credit Contracts and Consumer Finance Act 2003 was launched In September 2009. This has led to the passing of new legislation to amend the Act and strengthen consumer protection. The implementation began in mid-2014 will continue through until mid-2015. A key part of the changes is the introduction of a Responsible Lending Code which was issued in draft form in late 2014 for public comment. Read what NZCCSS thinks should be in the Code in our comments on the Code () and our response to the Draft Code in December 2014 (). 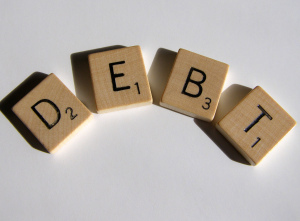 In March 2015 the final version of the Responsible Lending Code was published and comes into force on 6th June 2015. Behind these changes lies advocacy work of many, including NZCCSS. In 2003 we published The Dynamics of Debt for Low Income Families report by Dr Lewis Williams and Dr Mike O’Brien. This highlighted previously unarticulated issues regarding the nature of poverty, including the social dynamics of inadequate income (from benefits or low-paid employment), exclusion of many groups from access to mainstream forms of lending (i.e. banks) and the unequal distribution of debt that impacts most severely on Maori, Pacific, women and families with children. 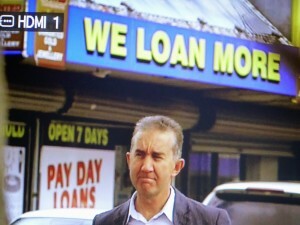 In 2007 the Department of Consumer Affairs reported in detail on the activities of fringe lenders operating in South Auckland and on the effect on Pacific communities of the area. In 2009 the Families Commission published its study Escaping the Debt Trap on the experiences of families accessing budgeting services which showed similar issues and little change in government policy.